They say that true love is loving without expecting something in return. True love, they say, is unconditional. The kind of love that is patient, calm, always protects, trust hopes and persevere. It is selfless and desires happiness and the best.To be loved is not a right that we should earn as the purest love sees nothing acceptance, appreciation and understanding. It's not only about romance but also a mother's care to her family; a child's joy with his dog; a father's respect to his wife and an everlasting love from up above. "A beautiful life does not just happen. It is built daily with humility, kindness, sacrifice, forgiveness and unconditional love." "Love is the doorway through which the human soul passes from selfishness to service." "Once you have learned to love, you will have learned to live." 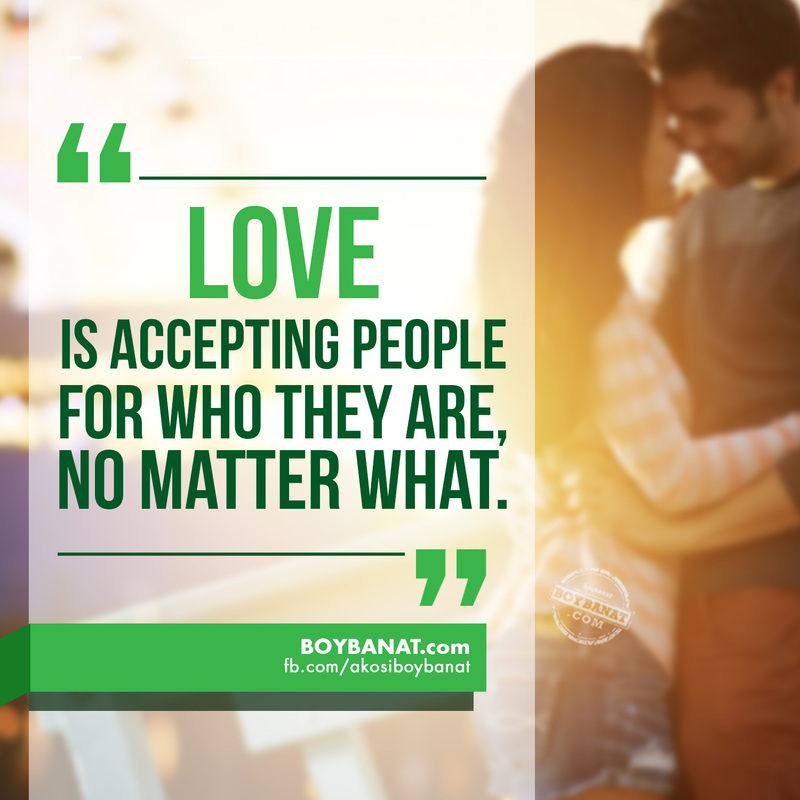 "Love is accepting people for who they are, no matter what." "Spend your time on those that love you unconditionally, don't waste it on those that only love you when the conditions are right for them." "The greatest feeling in the world, is to be loved by everyone around you unconditionally." "Love is an unconditional commitment to an imperfect person. It is a decision, a judgment and a promise." you don't hate them for breaking your heart." and so I think it is the greatest gift we have." because only you have them and they are amazing to me." "Unconditional love does not thrive on return favors. Intense love does not measure, it just gives." that it attracts all the love and good in the universe to you. Find a heart that will love you at your worst and arms that will hold you at your weakest. This is just some of the reads that we know you can relate to. 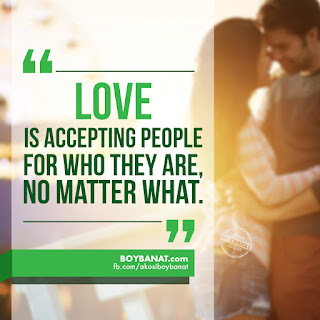 We have more here at www.boybanat.com and keep posted for other features that we are preparing for you. If you also have collections to share, feel free to Contact Us.